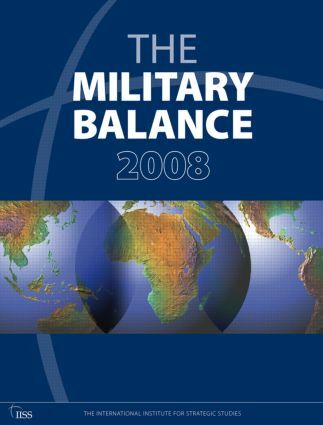 The Military Balance is The International Institute for Strategic Studies’ annual assessment of the military capabilities and defence economics of 170 countries worldwide. It is an essential resource for those involved in security policymaking, analysis and research. The book is a region-by-region analysis of the major military and economic trends and developments affecting security policy and the trade in weapons and other military equipment. This edition includes a review feature on European and US defence industries, an essay entitled ‘Unmanned aerial vehicles: current developments and future utility’, a review of developments in Iraq’s security forces, among other regional texts. Its comprehensive list of tables now includes the air capability of the US and Russia as well as deployment figures, by country, of personnel deployed on United Nations and non-UN peace support operations. There are maps showing the operational situation in Iraq and Afghanistan, the Darfur region of Sudan, and developments in Russia’s early warning radar system. The Military Balance is currently noted in the following abstracting/indexing services: CSA Worldwide Political Science Abstracts; PAIS: Public Affairs Information Service and Research Base Online.